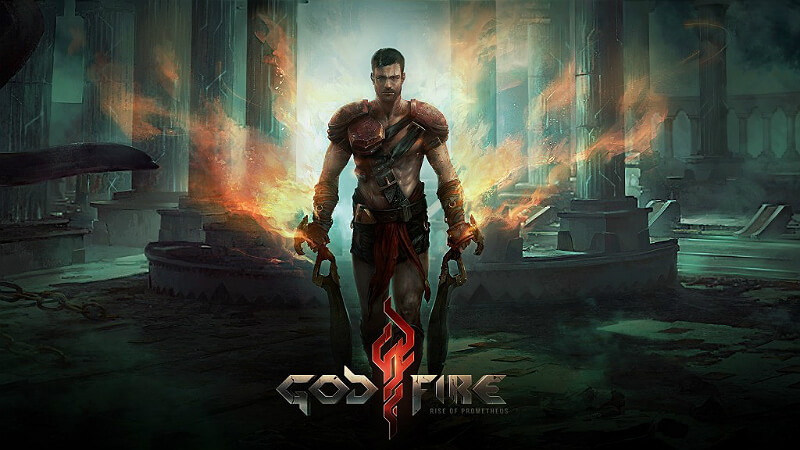 Godfire: Rise of Prometheus is a beautiful RPG in which you have to fight with gods and huge titans like Prometheus, which refused the divine heritage and is ready to do anything to give people the fire. In the game, you have to fight a lot against huge bosses, which will be quite difficult to defeat. For a sure victory, it is necessary to use all the fighting skills of Prometheus and also weapons, namely swords. Passing through locations will be very interesting because you can find a lot of useful chests and solve interesting puzzles. Immediately after that, you go battle dangerous enemies. Do not forget after each battle to upgrade the armor and weapons of the warrior. In addition to the main missions, you have a mini-job. For example, you have to open a locked door and deal with some puzzle. The game world is attractive and open and you can explore it in more detail. Convenient management adds positive qualities to the game. The left side of the screen is designed to move and activate additional sources of power and the second part has all the necessary buttons to carry out an attack. A lot of fights, riddles, and puzzles. The possibility of using game joysticks.